Well here we are, weekend number 52, the last of 2011. The biggest party of the weekend got cancelled (the Gorillaz thing at Zouk), and as far as I can tell, most venues are not doing anything special ahead of Saturday night which is of course New Years Eve. There is, however, one party tomorrow night at the Ruwi hotel, Black Gold, promoted by the amusingly named events company: Stantmastaz Entertainment. The party is free for women, RO 7 for couples and RO 10 for single guys, paid admission gets you a free shot of vodka, and groups of 6 people get an entire bottle for free, so says the facebook event page. I imagine the Vodka will be terrible! I have to admit I'm kind of curious to see how sick people will get on that much free cheap vodka. 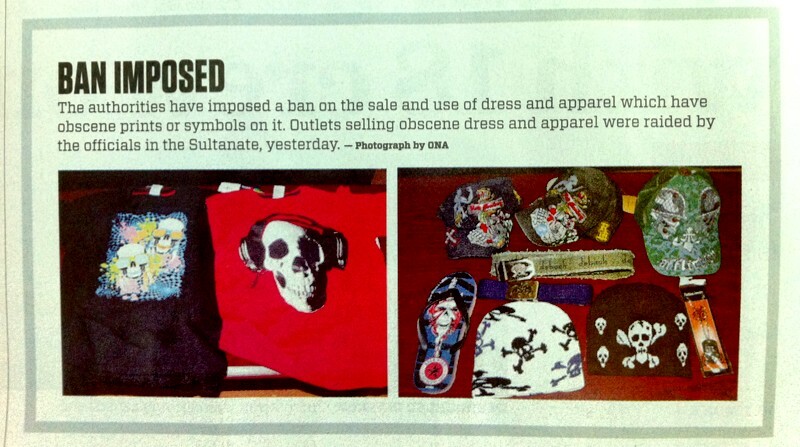 I wonder what the Muscat City Centre mall rats are going to wear now? Thats all for now, have a good weekend! LOL, I hope those were the tamest "items" confiscated because the others were too harsh for a paper to publish without editing. If not, then, well, it really isn't that funny. 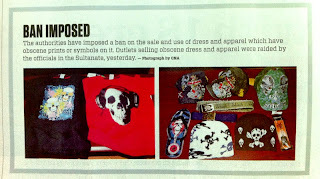 What's up with skulls and skull and crossbones being banned?